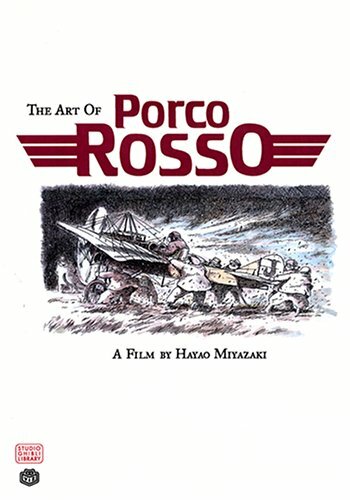 Porco Rosso, the movie, is actually based on a 15-page water-coloured manga by Hayao Miyazaki. Included in the book are 3 pages from that manga and they look really fantastic. The only one thing I don't like about the book is there are too much screenshots from the movie. The concept art consists of character designs, airplane designs, publicity posters and storyboards. I love that they included the film ending credit illustrations. Overall, the amount of concept art is still overwhelmed by the film stills. Right at the end, there are over 60 pages of the screenplay, broken down to story beats with captions. There are also 5 full black and white pages from the original manga. There is also not much writeup except to explain a little history on the story. This book is still good just that it's not as great compared to the art-of books released for later movies. What an impressive and enjoyable site Parka has created here. I came here looking for a quality frame-worthy print of the Savoia S.21 flown by Porco Rosso. A printable screenshot of the S.21 in profile would please me, as well. Thanks to Parka for the beautiful site. Your friend in Bend, Oregon.